The Zanu PF Masvingo Provincial Coordinating Committee (PCC) here today (Friday 17 November 2017) has passed a vote of no confidence on the under siege President Robert Mugabe and his wife Grace saying the duo has failed in their mandate entrusted to them by the generality of Zimbabweans. Allies of Generation 40 (G40) faction were also not spared as they were randomly given no confidence vote before the province also resolved that any party regalia with Mugabe and Grace’s faces should be banned forthwith. The PCC accused President Mugabe of succumbing to a bed room coup and ceding his one centre of power authority to his wife who went on to abuse it provoking the military to step in and call Mugabe to order. Reading the resolutions, provincial chairperson Ezra Chadzamira said President Mugabe has lost control of the party under the influence of his wife so he should resign immediately and pave way for a new leader. “We call for an immediate resignation of President Mugabe. In the event he refuses to resign, we call for his immediate recall from both the party and government. “We are in solidarity with the action and processes taken by the Zimbabwe Defence Forces (ZDF) led by the Commander General Constantino Chiwenga towards the formation of a new, democratic and constitutional government. “We denounce the G40 cabal and its leaders among them Grace Mugabe, Jonathan Moyo, Saviour Kusukuwere, Patrick Zhuwao, Walter Mzembi, Dr Paul Chimedza and Kudzanai Chipanga among others,” said Chadzamira. Masvingo has mobilised 24 buses to ferry people to Harare for the solidarity march organised by the war veterans and they have strictly banned the wearing of Zanu PF regalia. The war veterans will be showing solidarity to the military for their act of valour in safe guarding the ethos of the revolution which they say have been usurped by the G40 cabal. Zanu PF chief whip Lovemore Matuke also weighed in saying he wished President Mugabe is given more life so he can see how a performing economy works under the new leadership compared to his destructive tenure. 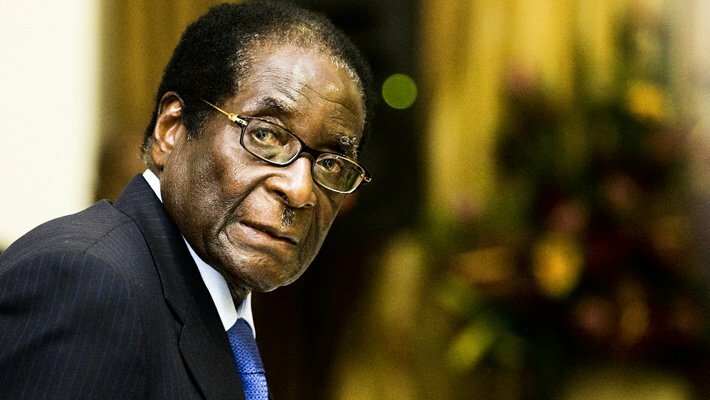 “It’s time to gather our courage and confront Mugabe head on. Many people were afraid to say it but the greatest soldier General Chiwenga could not fold his hands while the country was run to the ground. “If we had the money we would gladly give it to the soldiers to treat themselves for liberating us for the second time,” said Matuke. He said the country belongs to everyone not one person or family hence the need to get rid of the Mugabe family from the echelons of power. “We have respect for our leadership but when they derail we call them to task. We do not want cowards at this stage because some people died for this country,” said Matuke.